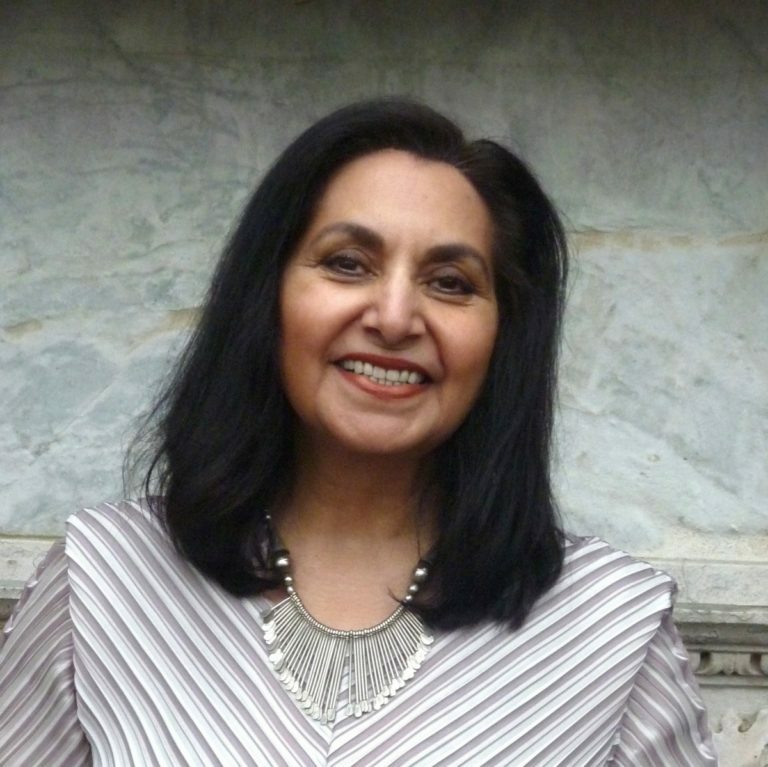 We are thrilled to announce that Queen’s Gold Medal for Poetry winner Imtiaz Dharker will be the Poet in Residence at the 2018 Ilkley Literature Festival. Imtiaz will be following in the footsteps of previous luminaries who have held the role, such as Daljit Nagra, Andrew Macmillan and Kim Moore. As Poet in Residence, she’ll be putting her own mark on the festival programme with a curated strand of poetry events, as well as taking part in readings of her own work, and running workshops for new and emerging poets. Imtiaz will also be judging the annual Walter Swan Poetry Competition and acting as mentor to the Apprentice Poet in Residence, applications for which post are now open (see below for more info). Born in Pakistan and raised in Glasgow, Imtiaz has published six poetry books, the most recent being Over The Moon which was published in 2014, the year of her Queen’s Gold Medal win. She has also been the recipient of the Cholmondley Award and is a Fellow of the Royal Society for Literature. Her work resonates strongly with young audiences thanks to its inclusion on GCSE and A Level syllabuses. To add to her impressive catalogue of talents, Imtiaz also works as a documentary film maker and as a visual artist. The Walter Swan Poetry Competition, judged by Imtiaz, is now open for entries from anyone aged 18 or over, writing on any subject. Poems must be no longer than 30 lines and the deadline for entries is 1 August 2018. Click here for details of how to enter. Applications are also now open for the role of Apprentice Poet in Residence. The Apprentice will work closely with Imtiaz as well has having the opportunity to programme their own Festival event. Previous Apprentices include Guardian First Book Award Winner Andrew McMillan and acclaimed playwright Zodwa Nyoni. Click here for details on how to apply to be Apprentice Poet in Residence.